Discussion in 'iPhone and iPad Games' started by metalcasket, Feb 18, 2016. Hungry guests are waiting! Cook lots of food in a pot, enough for everyone! ▼The Foo-Don Shop is open! New types of Foo-Don that are only available in the Shop are now available! 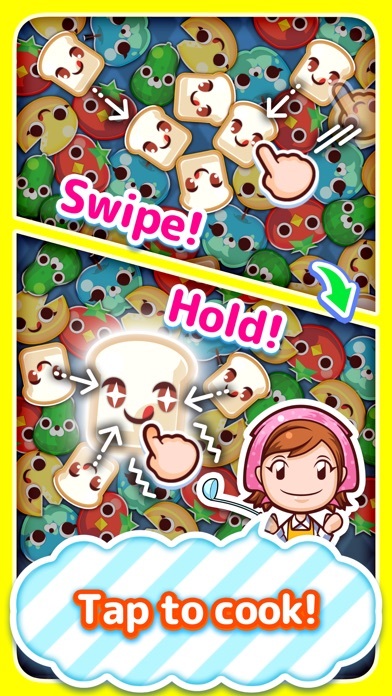 Try out the new Foo-Don and see what skills they have! Trade in-game coins for the new Foo-Dons! ▼Fun! Simple! 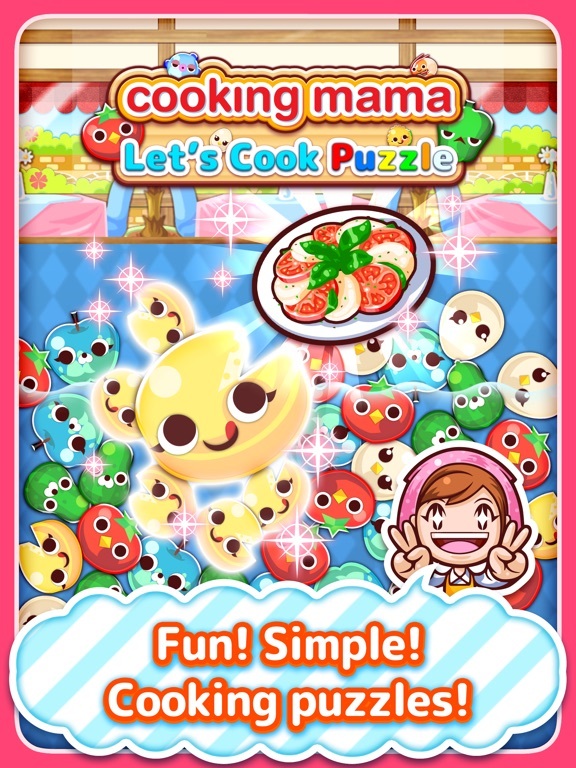 Cooking puzzle action! Puzzles for beginners to experts! 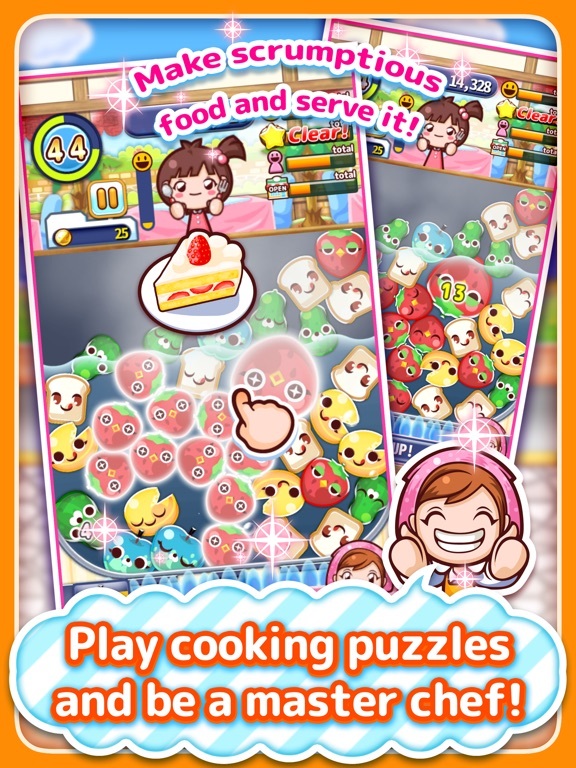 Prepare dishes with fun puzzle action, and make your shops a success! ▼Game Overview The rules are simple! 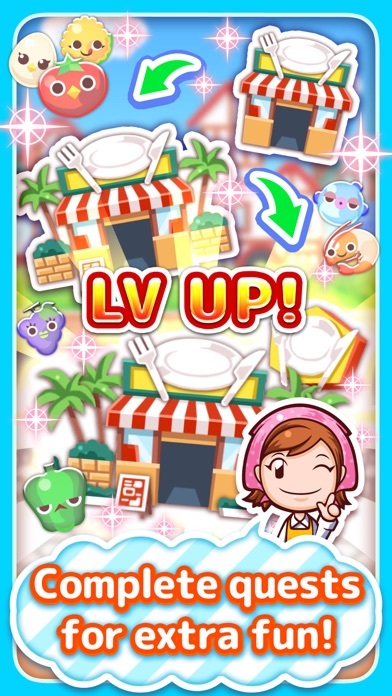 Connect 3 or more Foo-Don (ingredient characters), then tap them to make the dish! Tap and hold connected Foo-Don and they'll stick together, turning into a jumbo Foo-Don! 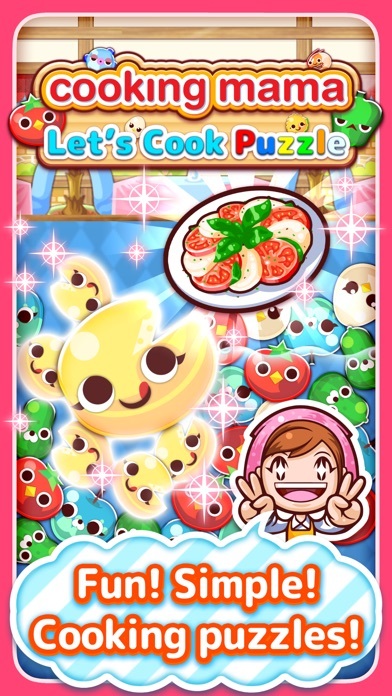 Make a dish from jumbo Foo-Don to earn tons more points! 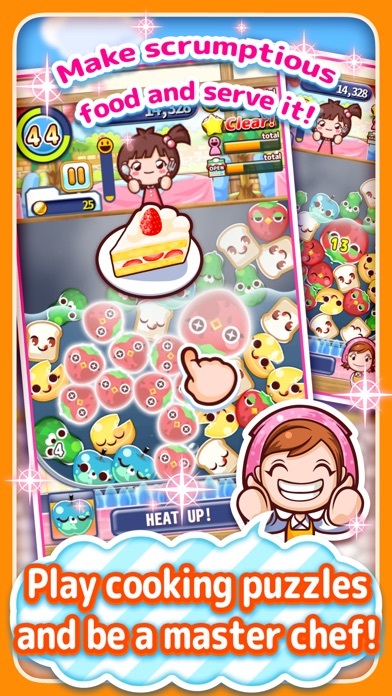 Easy controls make it fun to create jumbo Foo-Don and rack up points! 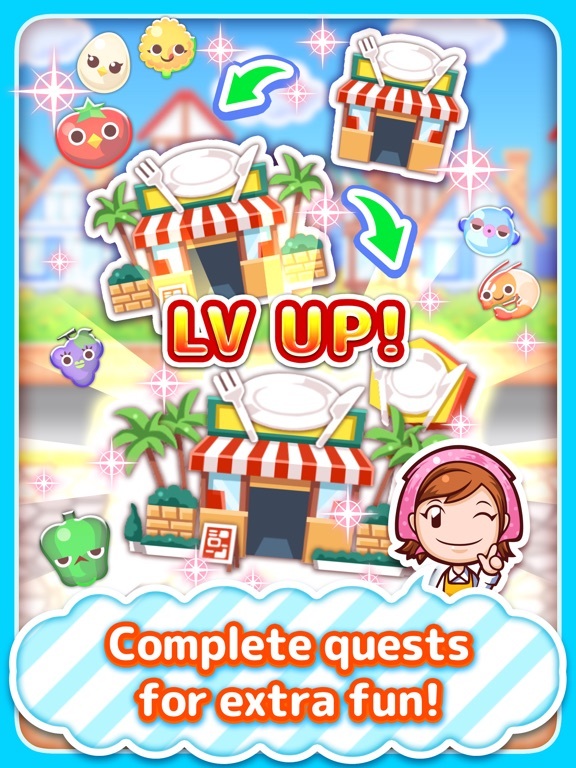 Fulfill quests by completing puzzles, and your shops will steadily grow! 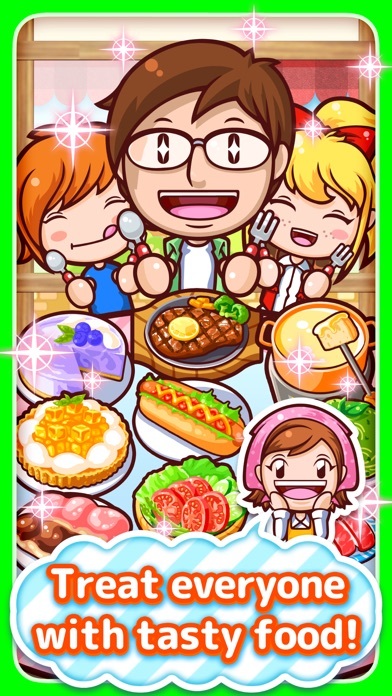 From time to time, Papa and special guests will show up to try your food! 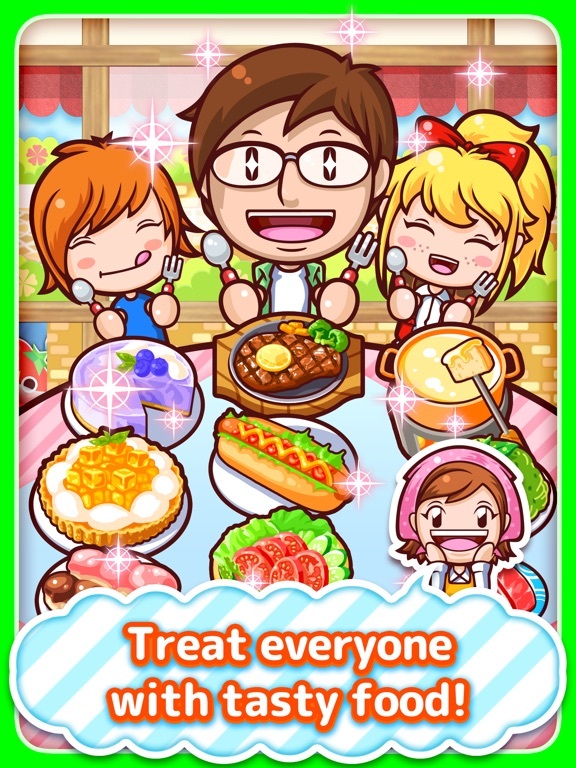 Make a lot of dishes, satisfying the customers who come to your shops! There are lots of fun events, including chances to receive some great rewards! 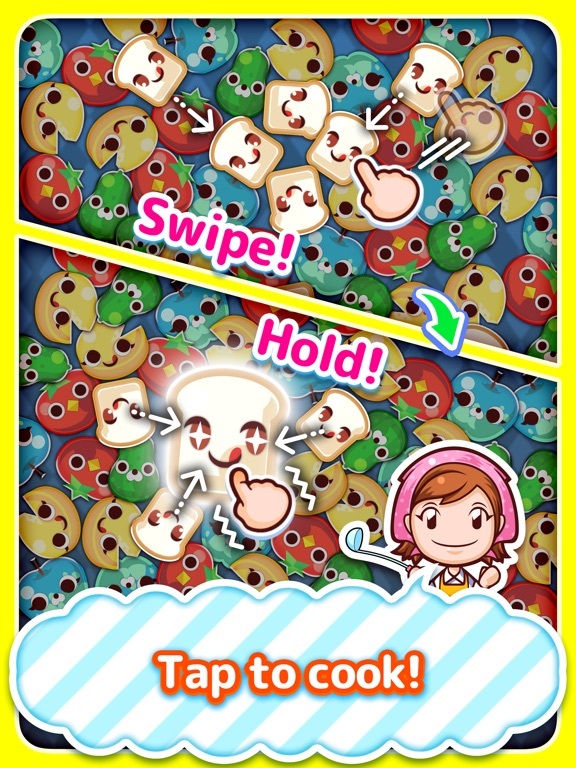 "Cooking Mama: Let's Cook Puzzle" is free to play, but in-app tickets can be purchased for your convenience. 【Recommended Setup】 iOS 7.0 or later. Game may not be playable on certain devices even if the above conditions are met. 【Supported Languages】 English Arabic Dutch Filipino French German Italian Indonesian Japanese Korean Malay Portuguese Português brasileiro Simplified Chinese Spanish Spanish-mexico Russian Thai Traditional Chinese By downloading this game, you are accepting its User Agreement.